Online-gambling companies doing business in Australia continue trying to find ways to make the Internet’s near-instant communications and massive amounts of information compatible with a regulatory system designed to keep sports betting fair for all involved. Among the companies receiving increased scrutiny in recent months from Aussie gaming regulators is international gaming giant William Hill, and the topic causing a collision between gaming companies, customers and regulators is in-play betting. In Australia, in-play betting on sports contests or races that have already begun is supposed to be allowed only by phone, but not via electronic means. The reason: The few seconds’ delay Australia’s regulators insist upon by requiring “in-play” wagers to be placed manually via a phone operator is intended to cover slight delays that can occur in transmitting information about a game or race, and thus remove the possibility that customers can defraud a betting service by receiving a phone call or other tip and placing a bet immediately as a race concludes. Except, of course, that the sum of all in-play wagering represents a sizable percentage of all the wagering action on a given contest, and the betting companies themselves have been loath to curtail the practice, instead trying to find ways to allow customers to skirt the regulations using notebooks, smart phones, and other such modern conveniences. Euro giants serving the Aussie market such as William Hill and Bet365 have been most aggressive in pushing that fine line, using a self-created loophole in which they’ve declared that as long as an online customer’s device microphone is on, the communication between the customer and site is thus a “phone” call, and is thus allowable under Australia’s rules for in-play betting. It’s a snarly distinction to be sure, even though one of the purposes of the existing rules is to help protect the sites themselves from bettor-orchestrated fraud. 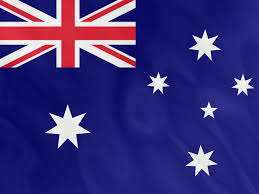 In recent months, various Australian government officials have promised to review the in-play betting rules, part of the larger provisions of Australia’s Interactive Gambling Act, law of the land regarding the country’s online-gambling matters since way back in 2001. The companies which currently offer regulated services in Australia, including William Hill, Ladbrokes and Bet365 and such native Aussie offerings as CrownBet, Tabcorp and Tatts, have officially condoned the governmental review, though they’ve cautioned against a heavy-handed crackdown that would remove the loophole or ban in-play wagering altogether. As usual, the companies raise the specter of such wagering instead being funneled to various black-market sites should an official prohibition be enacted. There’s indeed some legitimacy these claims; the Aussie market is heavily influenced by the gigantic (and largely underground) Asian gambling market, which has always been susceptible to large-scale betting shenanigans and which has been implicated in numerous game- and race-fixing scandals in Australia over the decades. Overall, the official “expansion” (for lack of a better) word of Australia rules to allow for all forms of online in-play wagering could expand the official Aussie betting market by AUD $1 billion a year — a big number for all involved. Whatever slice of that goes to Australia’s government coffers likely gives government officials plenty of reason to be gentle in their planned reworking of the statutes, even as complaints continue to be filed. Aussie news outlet The Age reported just a few days ago that William Hill was the target of an investigative probe (and not the first, either) by the Australian Federal Police (AFP) over the exact same in-play loophole now being re-evaluated. It’s a mess for sure, though the likely solution is that some form of expanded in-play sports betting will be condoned … if for no other reason than the existing prohibitions are both insufficient and unworkable. The end result, after all, is likely to be better for all those involved in the Australia sports betting market.